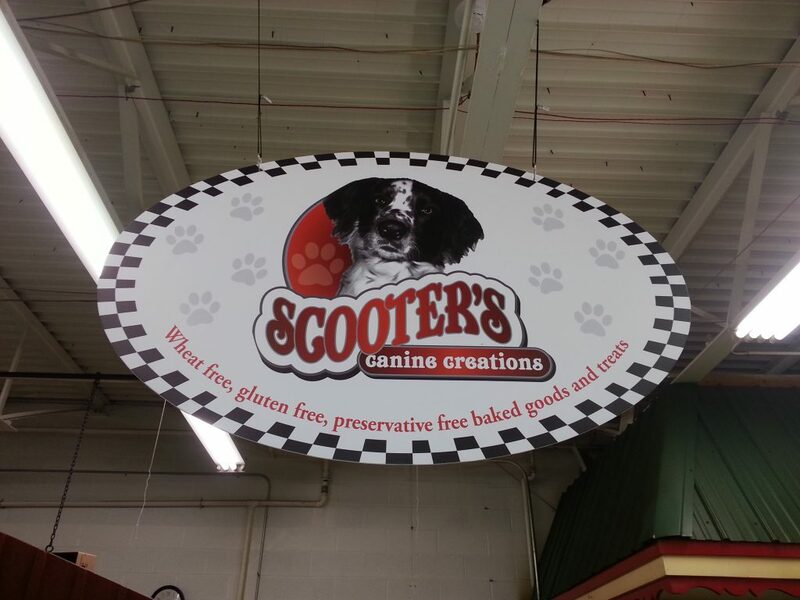 Business info – Scooter's Canine Creations LLC originated in 2009 from the idea of having a gluten free, wheat free, and preservative free birthday cake for our rescue dog, Scooter. After experimentation and research, we created out signature cake, "A Day in Dog Heaven", which is made out of fresh apples, carrots, and bananas. With the encouragement of family and friends, we created a line of dog treats for dogs with sensitive stomachs and allergy issues in mind (Just like Scooter!). 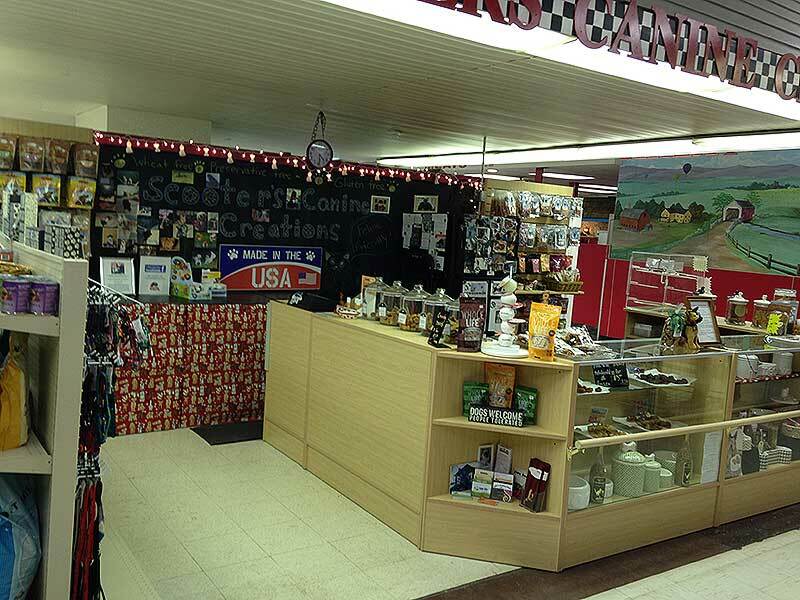 In 2010, we started selling our products to boutiques, groomers, retail stores, craft shows and online. 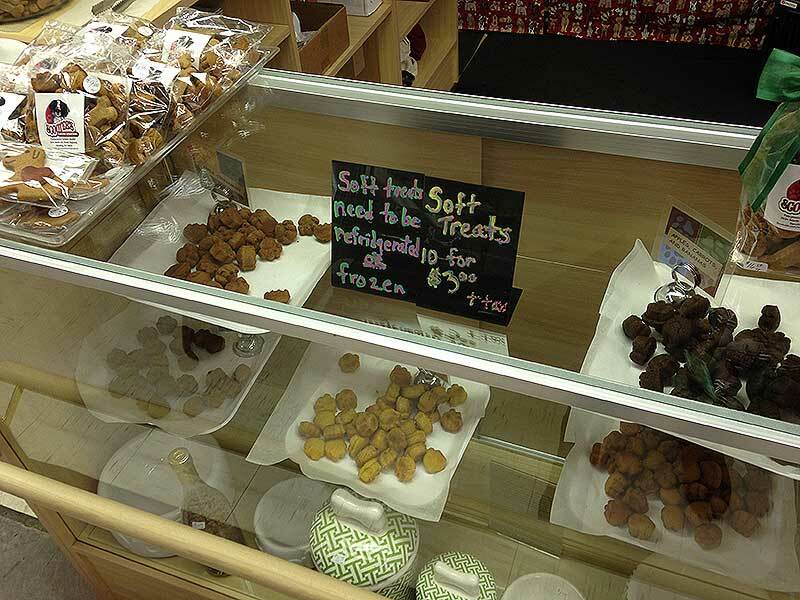 On April 11, 2013, we opened our stand at the Fairgrounds Farmers Market. 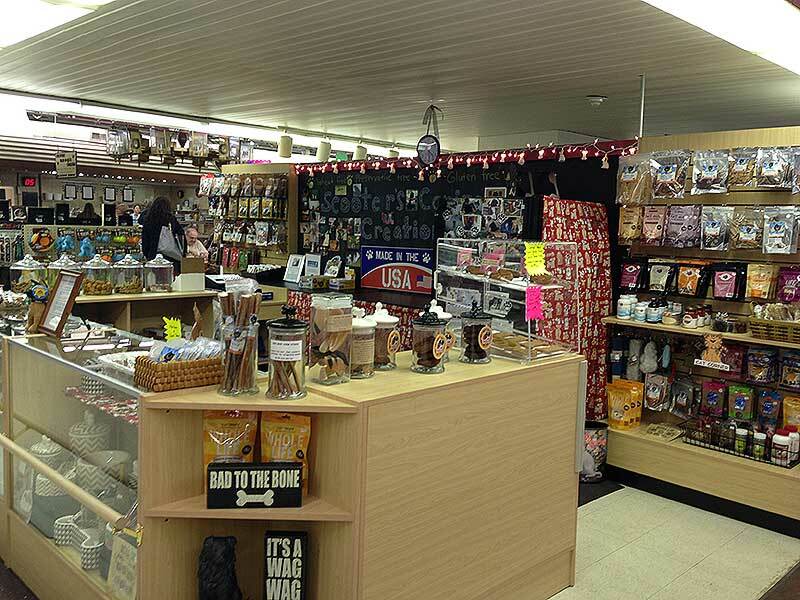 Business features – Imagine a dog treat that smells and tastes good enough for you to eat. Why give your dog a treat that contains ingredients you can’t pronounce? 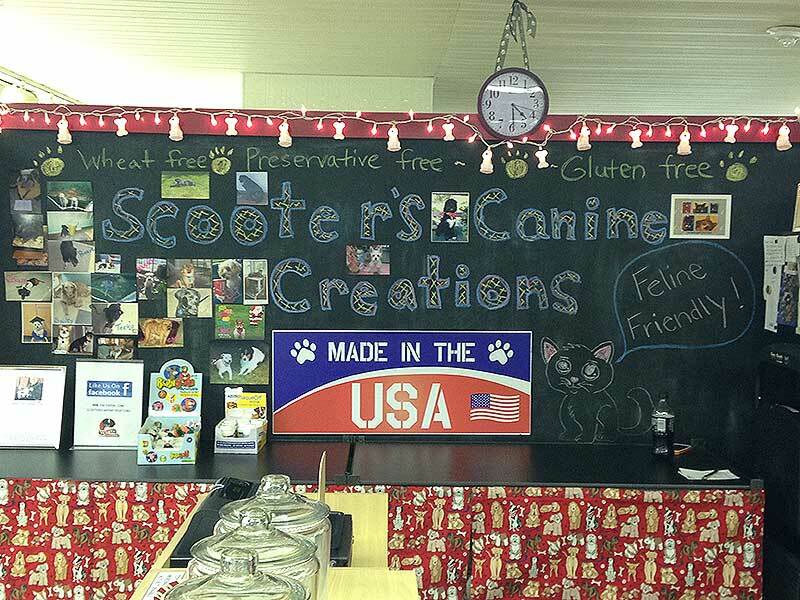 At Scooter’s Canine Creations our goal is to provide your canine family with healthy and nutritious treats. No refined sugars, food coloring, or preservatives are ever added. We are a gluten free and wheat free bakery! All our recipes are created by owner and baker, Loretta Carter. Our crunchy treats and soft bakery items are made in small batches using the best organic and wholesome ingredients available. We also carry items for your feline friend too! Besides our baked goods, we strive to carry products that are made in the USA. 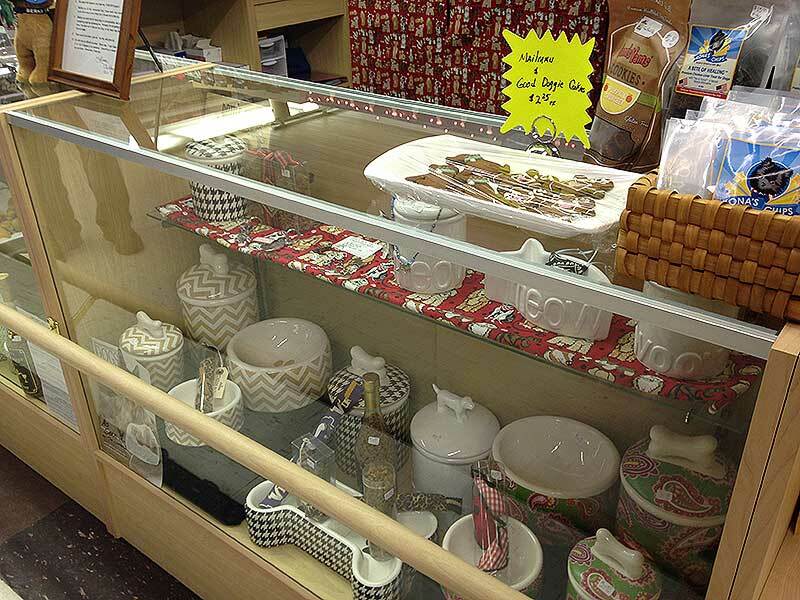 We have collars, toys, pottery, jewelry, Artemis food, and many other items. We are proud members of the PA Preferred program and licensed by the Pennsylvania Department of Agriculture.